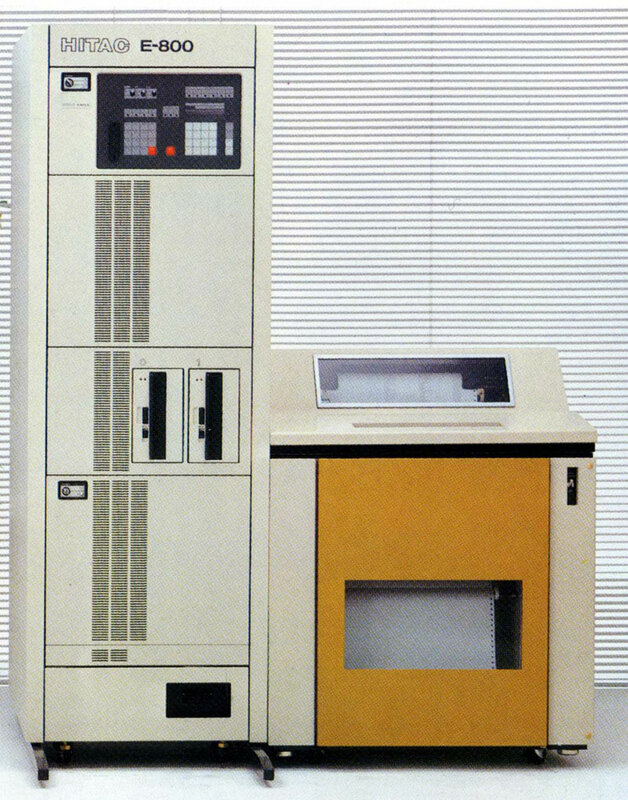 The HITAC E-800 was a 32-bit super minicomputer developed by Hitachi and announced in 1980. It had a 32-bit architecture and instruction compatibility with the HITAC M Series, and was designed for applicability to distributed processing systems, and expanded processing capability. In terms of hardware, the system achieved greater compactness and higher speed by using features like custom LSI and cache memory. In terms of peripheral devices, the machine allowed connection of up to a maximum of 8 magnetic disk units, and M Series peripheral devices could be connected using M Series interface channel connection. In terms of software, the system used "DPOS", which inherited mainframe concepts, and coordination with mainframes was improved by using a wealth of network support functions.